Product Catalog > FLUORO PLASTICS. Specifications︰ PTFE Labware is widely used in the range of medicine ,chemical,education,etc. It is the high purity and excellent anti-corrosion and can working under the temperature from -180°C - +250°C. 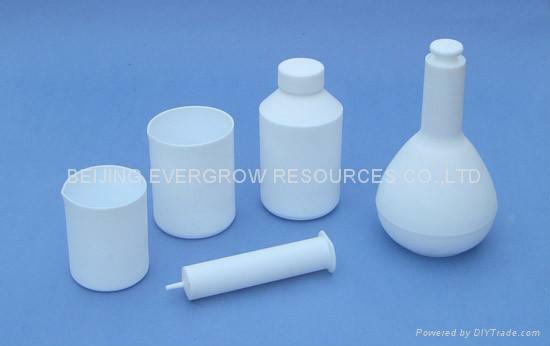 Advantages︰ PTFE Labware is widely used in the range of medicine ,chemical,education,etc. It is the high purity and anti-corrosion and can working under the temperature from -180°C - +250°C.